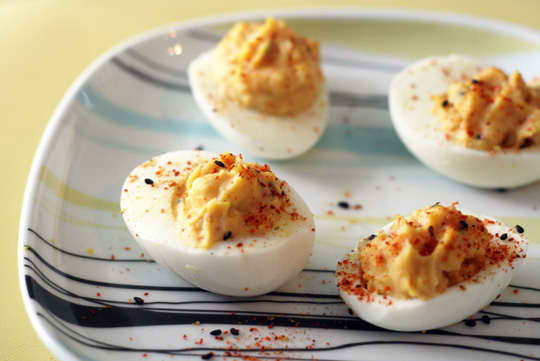 Maybe I鈥檓 all alone here, but sometimes I find deviled eggs a little tedious to make, especially if I鈥檓 making a big batch of them. I start to wonder if I鈥檓 doing something wrong since it usually takes far longer than I planned for. But I鈥檓 told I just need a smarter game plan. I polled the Kitchn team and they came to the rescue with a bunch of tips 鈥� which you can find below. 1. Cook and store the eggs up to a week in advance. There were a few camps on whether to peel them or not to peel them, but there is consensus on leaving the eggs uncut. 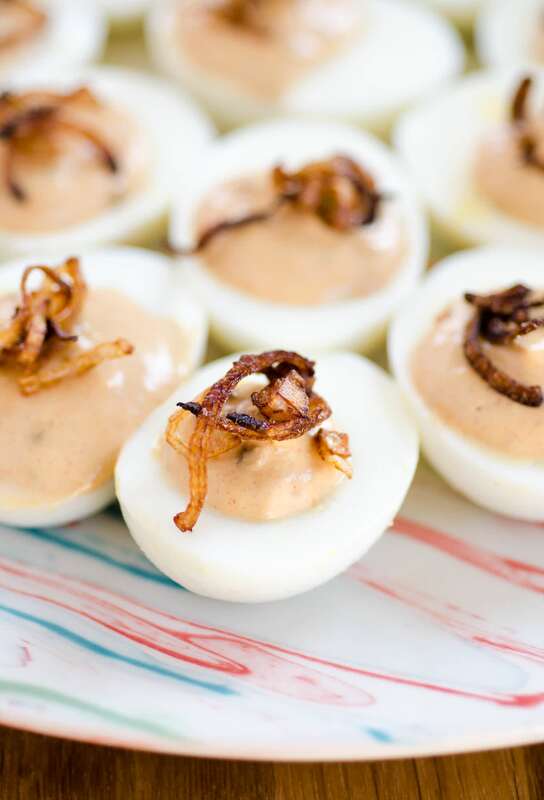 Uncut hard-boiled eggs will last up to a week in the fridge. If you need to really buy yourself a few days, know you鈥檝e got options. Once the eggs are fully cooled 鈥� peeled or unpeeled 鈥� store the eggs in an airtight container to avoid the funk. 2. Make the filling and store it separately in a bag. At two days before serving you can make the filling 鈥� for the most part. Scoop out the yolks and add whatever base ingredients you鈥檙e using for the filling. 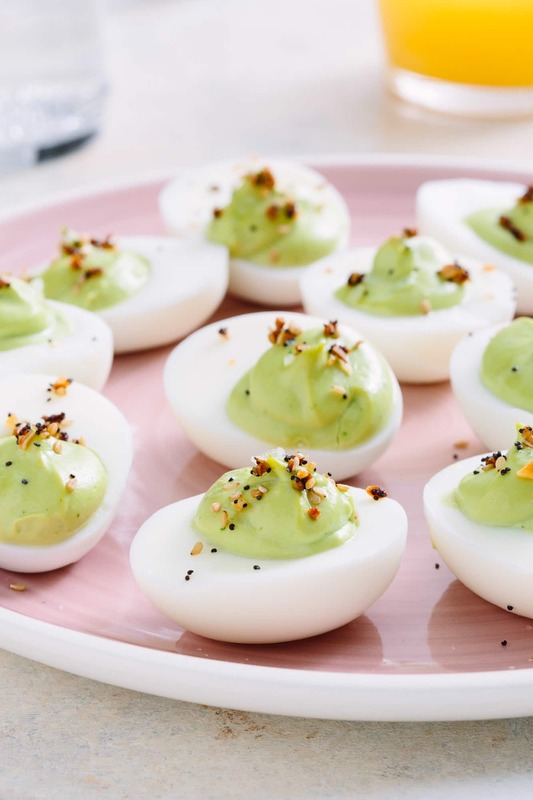 Mayo, mustard, Sriracha, avocado, Greek yogurt 鈥� all those things can be added to the yolks ahead of time, but leave the crunchies for mixing in before you fill the eggs or after if they go on top. Store the prepared mixture for up to two days ahead. To avoid that weird crust from forming on top, store the mixture in a resealable bag. Then you can just snip one end and pipe it into the egg whites. 3. 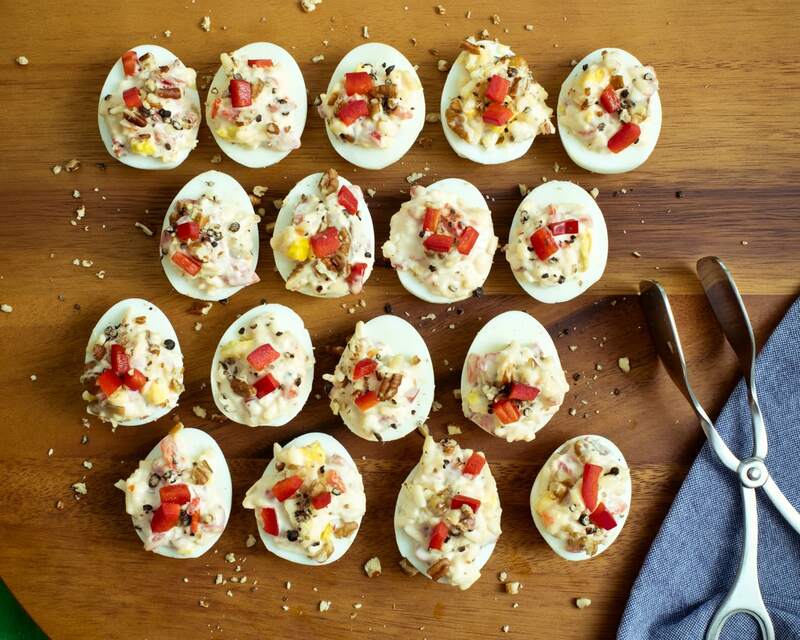 Assemble deviled eggs no more than a day in advance. At this point we鈥檙e talking about preparing them through the filling being added to the egg whites. 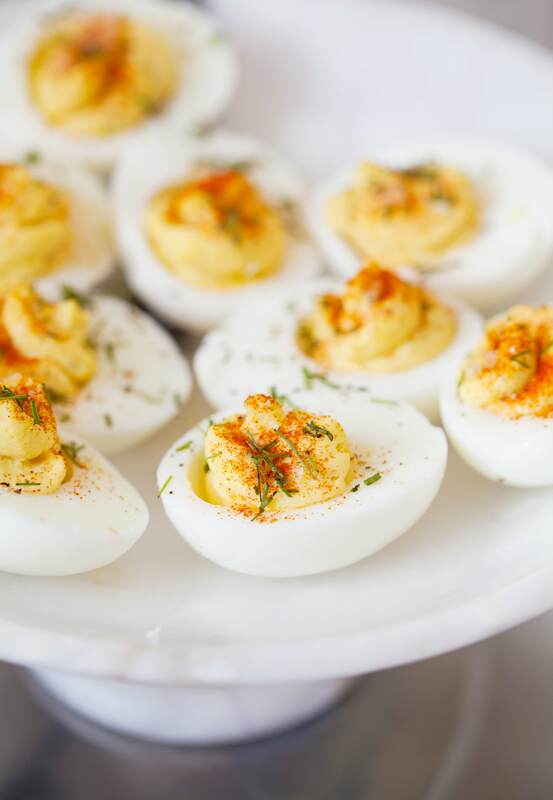 You can pipe your eggs and store them very well covered up to 12 hours ahead or overnight. Personally I wouldn鈥檛 push them past a whole day because the filling won鈥檛 be its best. Regardless, if you鈥檙e topping the eggs with bacon, scallions, nuts, crispy onions, or anything else that needs to crunch, hold off on adding them until right before serving. 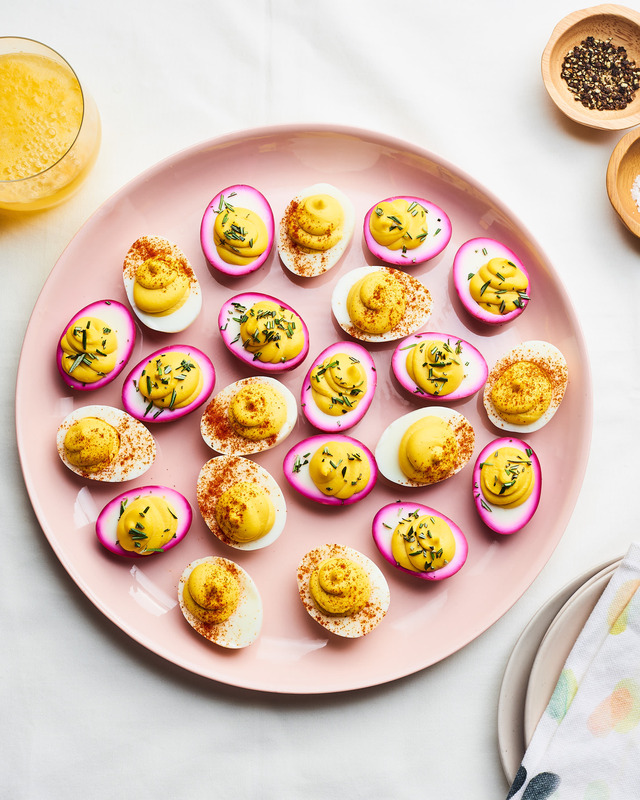 There are two methods for hard-boiled eggs we can get behind: the time-tested classic and the steam-cooked option by way of the electric pressure cooker. 1. 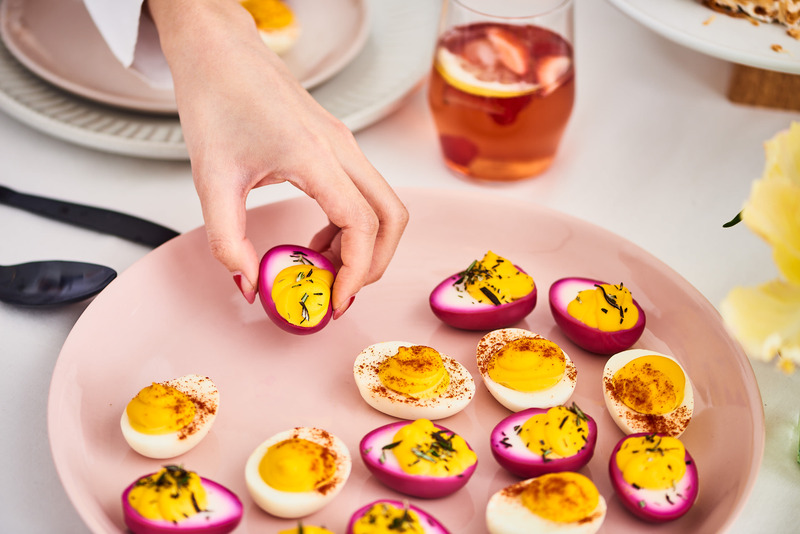 On the stovetop: This is a classic cooking method for making hard-boiled eggs, and the one we lean on when cooking just a few eggs at a time. Once the pot of eggs comes to a boil, remove it from the heat, and set a timer to get the eggs cooked just the way you like them. 2. 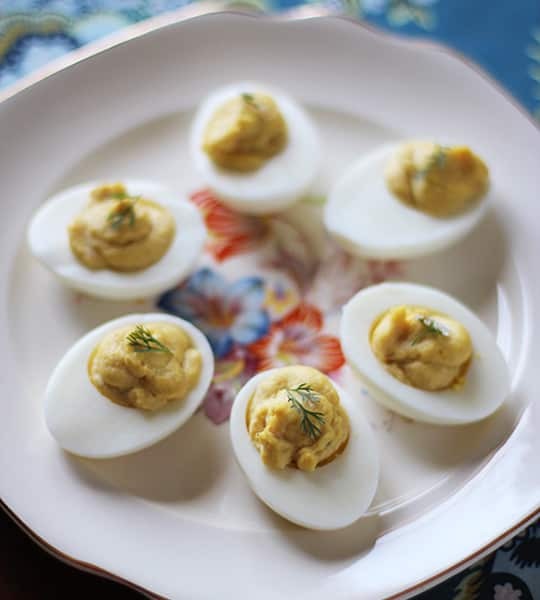 In an electric pressure cooker: Cooking a big batch of hard-boiled eggs? The electric pressure cooker (or Instant Pot) is our favorite tool for the job.